Yay! I love getting cards in the mail, don't you? Let's jump on board and send out a card today! It's a celebration and what better way to celebrate than with a sale or two!!! First we have a selection of card making supplies on sale for 5 days only to celebrate this event and then a paper sale for the month! Oh me, oh my! Also I have a card class that you may be interested in too! I hear all the time that our favourite thing to do with Designer Series Paper, aka pattern paper, is to .....keep it! Yes it seems collecting this paper since it is so beautiful and pretty seems to be the number one pasttime with it! Okay, so I might be making fun of this a little, but don't you have a sheet or two, or maybe a dozen, or 100 sheets (don't tell on me) that you have tucked away and just can not bring yourself to use it. I fully admit that I have a stash that I seem to thing I "must have" that I ponder once in a while as to what I am "saving" it for, but the thought is only there momentarily and then I carry on. So all joking and teasing aside, I love Designer Series Pattern and I do actually use it regularly and you can ask my downline and friends as many times I am begging for more of a pattern as I have used it in class and need more! So I figured I would share this month some of my cards that utilize our beautiful Designer Series Papers, as it actually is very easy to use it and make beautiful cards that make that beautiful paper turn into something even more incredible that you can share and admire! 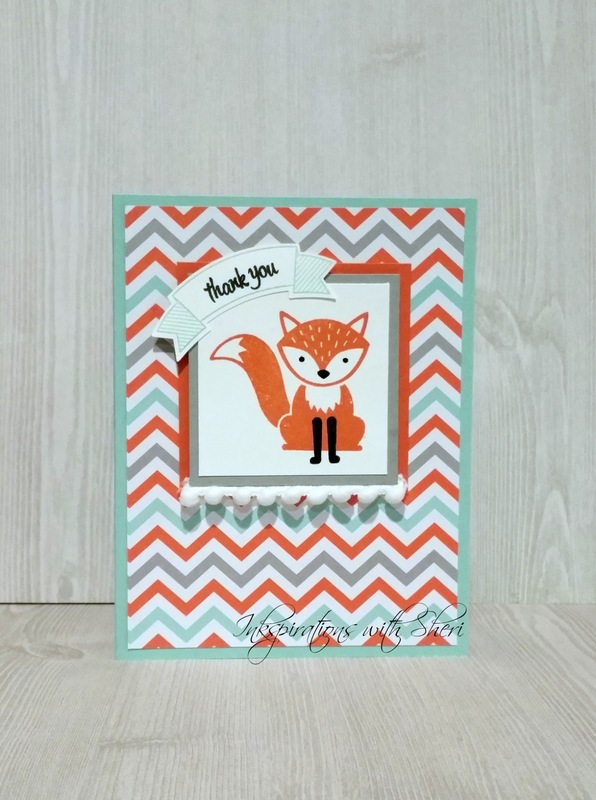 Isn't the Foxy Friends stamp set incredible! Are you finding yourself seeing fox merchandise everywhere? I am! Too cute! This is a quick and easy card using Designer Series Paper as a background, yes my favourite way to use it, and then a quick stamp and more cardstock and viola, a card! Fast foxy and fantastic! So from October 1 through 31 , you can buy three packages of Designer Series Paper and get one free! 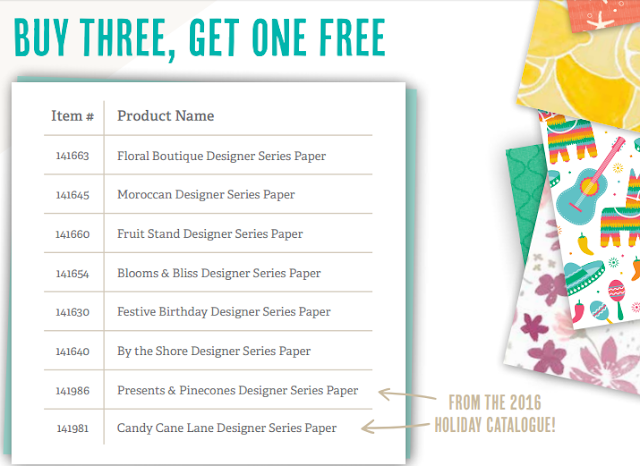 This sale includes Designer Series Paper from both the annual catalog and the recently released holiday catalog (not including Specialty Designer Series Paper or Designer Series Paper Stacks)! Now to celebrate with you, I want to offer you a deal on my upcoming card class Designer Tin of Cards Class. If you sign up between Oct 1-5, I will offer you 25% off the class so it will be only $33! Make sure to sign up today! Feel free to contact me if you have any questions about these specials.